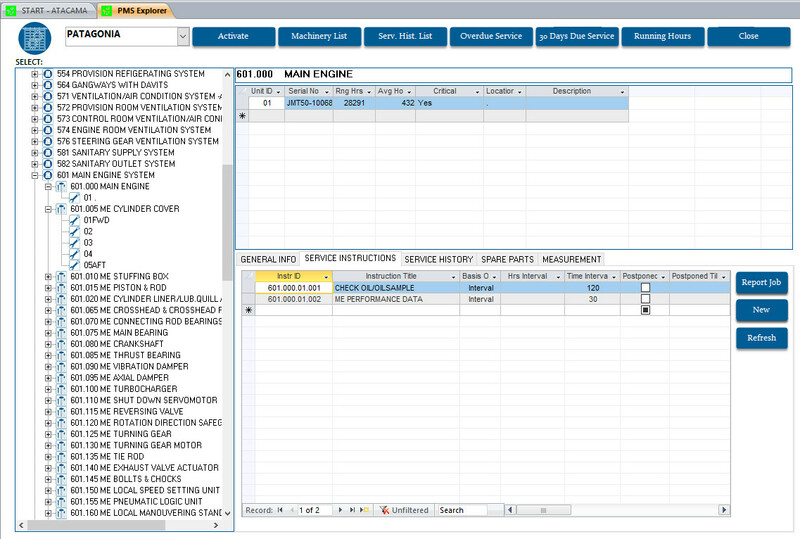 ODMS Plan 2001 is designed for all those who need systematic control of maintenance, spare parts and/or purchasing of plant parts, and management of certificates. The system is not limited to specific types of plant. It can be implemented in a number of categories including ships, manufacturing plants, construction, power stations, water supply, military establishments, laboratories, service suppliers, etc. what means where QUALITY is the most important factor. 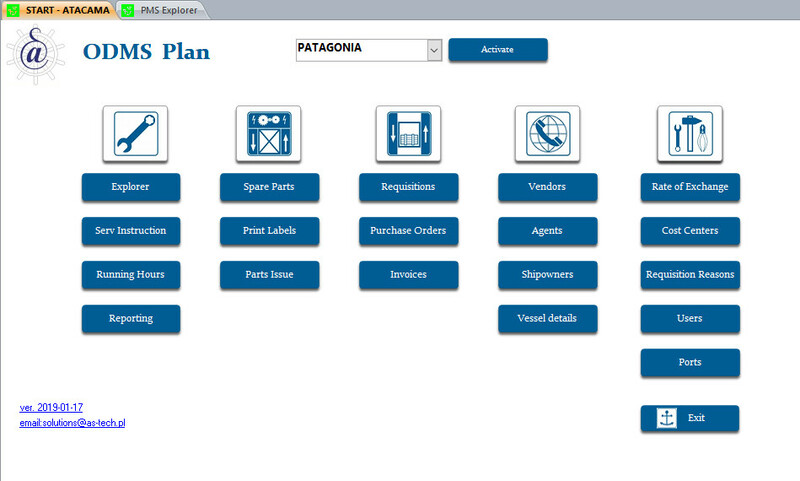 ODMS Plan 2001 consists of several sub-systems, all fully integrated and comprising a complete and homogeneous system. It is highly visual system, with powerful features for inventory control and purchasing administration guided by flexible, user-friendly interface which makes these tasks easy and intuitive. The different modules in the system will control all maintenance on calendar, running hours or condition, as well as a combination of these. It is based on the concept that each component onboard is described including all necessary technical and maintenance information incorporating graphical images of engine, spare parts, certificates or other relevant information. ODMS Plan 2001 helps users effectively plan and schedule future work assignments, thereby achieving better time management. System improves management efficiency being an essential tool providing factual reports on the status of onboard maintenance, surveys, certificates, and purchase. All spare parts are recorded with storeroom location, reordering criteria, suppliers etc. Spare parts can be linked to plant parts as well as to specific maintenance jobs, so that the system knows the expected spare part consumption. After choosing the spare parts to be purchased, the system generates the necessary requisitions. Knowing spares price it is easy to estimate done and planned maintenance costs. ODMS Plan 2001 is simply and flexibly integrated with other Windows products, especially with Microsoft Office 2000, giving powerful function. 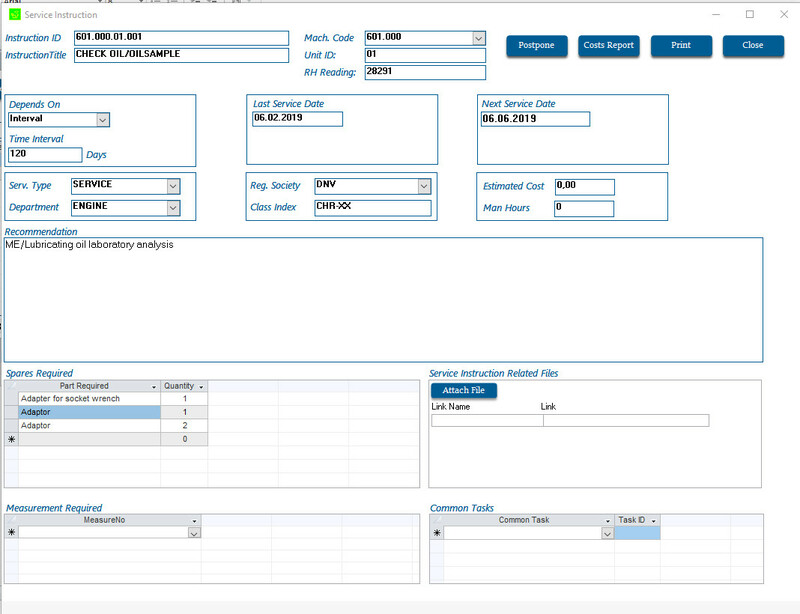 It is possible to relate spreadsheets, text documents and/or drawings to components, spare parts, maintenance jobs etc as well as hyperlink to Internet Web pages of Suppliers, Manufactures etc. These external documents will then be treated as integrated parts of ODMS 2001 Plan. Another form of integration is the automatic transfer of ODMS Plan 2001 data to other Windows documents for additional processing. Service & Support In most cases, the facilities provided by ODMS Plan 2001" will meet the needs of the customer. However AS-Tech undertakes specific adaptations of the standard system as well as the development of completely new functions, to the extent that this is required. It is possible to use fully graphical interface of the system like Vessel s drawings, plant s structure to operate on system modules. AS-Tech provides extensive service in connection with, and following, implementation of the system. This assistance may include everything from ordinary user help to a specific adaptation of the system and preparing vessels standard forms (i.e. in MS Word). ODMS Plan 2001 could be easily attached to your ISO quality standard. 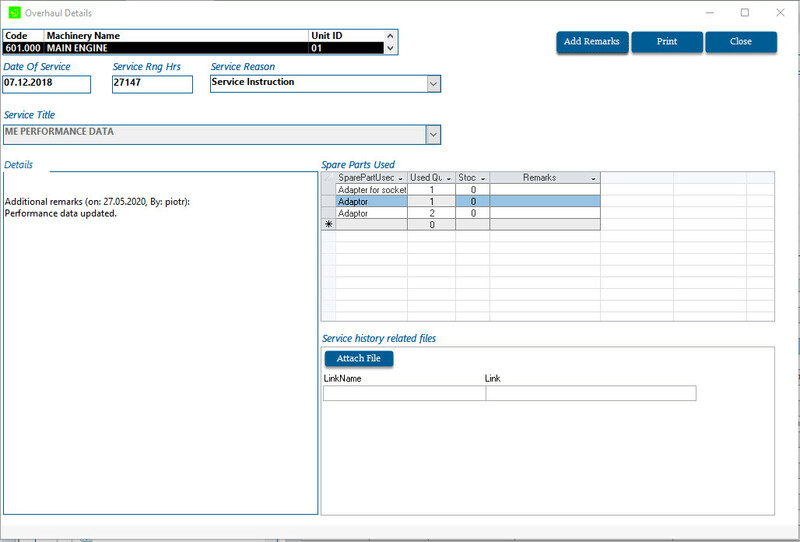 ODMS Plan 2001 has extensive facilities for the exchange of data between different data-user, such as a ship / shore office. It allows to do it either by diskette or email system. User-friendly and very easy Backup / Restore system module allows to protect SMS Plan database. Comply with DNV rules for classification of ships and mobile offshore units certification note.